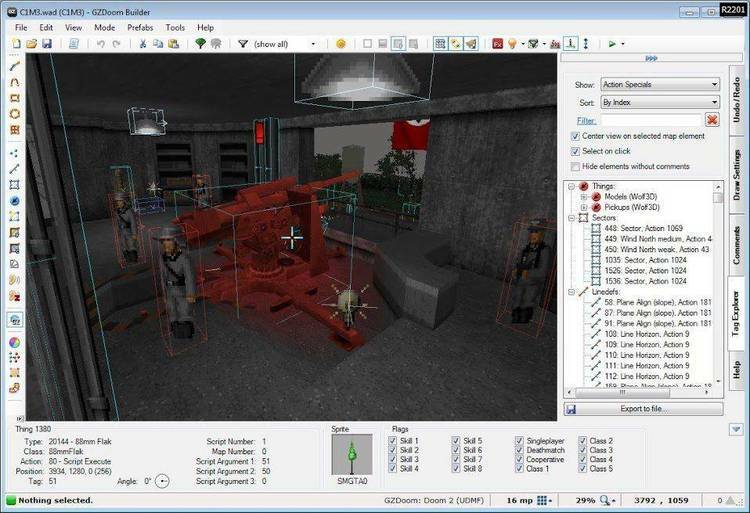 DMapEdit v4.0.6 (beta) - A map editor for Doom! Change the maps in Doom/Doom2, or make a new one! Requires a 386 or higher, a mouse, and Super VGA. required files, while those preceeded with a '+' are not required. software for Doom not work with the shareware version of Doom. also free to change any other setting within this file to your taste. use them, etc. To run the demo, just type 'demo'. Enjoy!